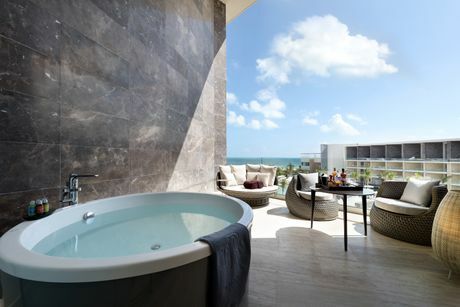 Revitalise yourself in the exclusive hydro-massage bath on the terrace of your suite. Enjoy the privacy provided by a separate lounge. Savour Costa Mujeres with a glass of wine at the perfect temperature, thanks to the wine climatiser included in the suite.